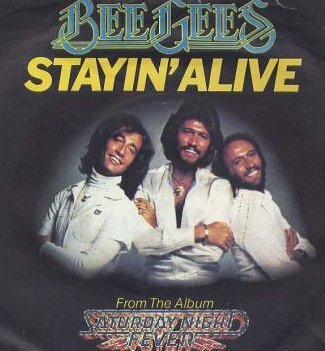 This week in 1978 saw the Bee Gees reach the Number 1 spot in the charts with ‘Stayin’ Alive’. The song was from the film ‘Saturday Night Fever’, and represents the pinnacle of Disco in terms of popularity. The movie was Number 1 in the box office, the soundtrack was the Number 1 album, and most of the songs from the record were among the most popular tunes of the year. 1978 was the culmination of an underground phenomenon that began in clubs in New York and Philadelphia in the late 1960s. Disco had grown in size and stature throughout the 1970s, gradually taking over all of the music production and popular culture in America. Everyone recorded Disco music, listened to Disco music, went to Disco clubs, and dressed like Tony Manero. However, this over-saturation of polyester, platform shoes, and disco balls led to an ever-growing backlash by the public. In July of 1979, a mere 18 months later, the famous Disco Demolition Night took place in Comiskey Park in Chicago during a baseball game between the White Sox and Tigers. Roughly ten years after the emergence of Disco, the scene was dead. This week’s mix is a look back at those halcyon days of Disco, with five chart-topping songs from 1978 that proved the Disco sound was the only one in town, and everyone wanted to catch ‘Saturday Night Fever’.